Ideal for fine cakes and pastries, whether fresh, refrigerated or frozen. Thermogo consolidates food loads. 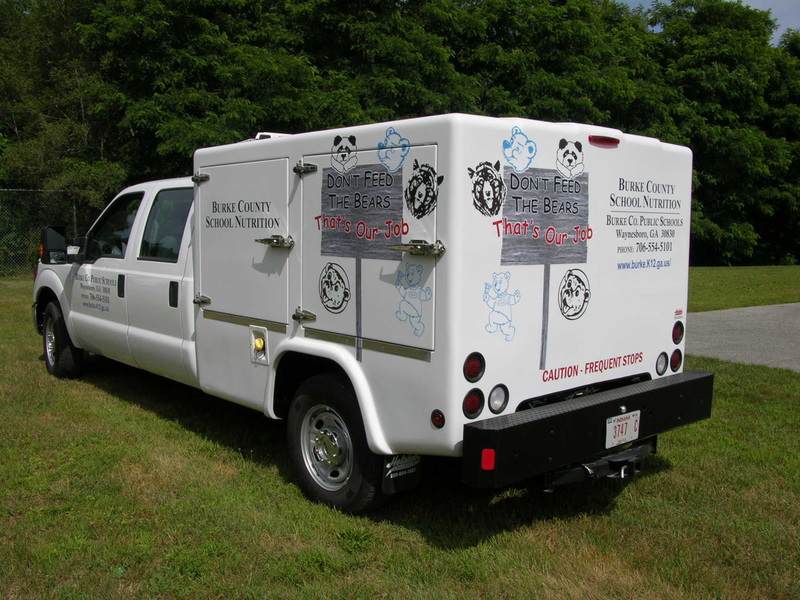 Use a single vehicle and save operating and staffing costs and reduces food handling during catered events. Assures proper food temperatures even if the event starts late. Improved quality, safety and customer satisfaction. 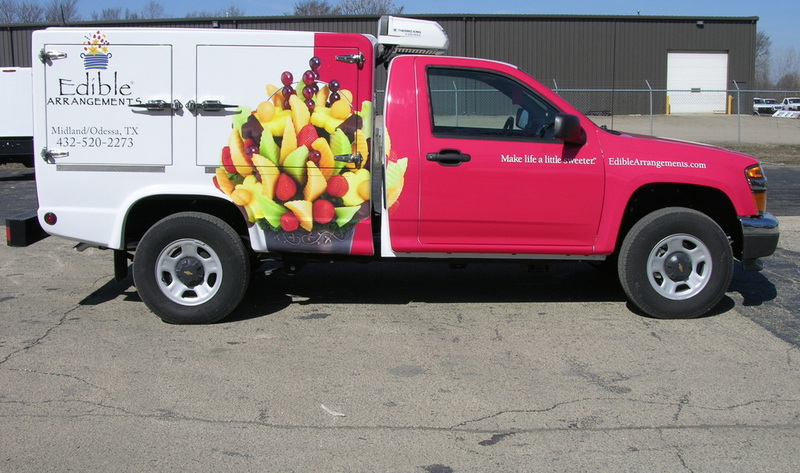 Graphics provide a ‘rolling billboard’ to stretch your advertising dollars. Series 6 trucks work well for small to medium catering mandates. Typical configuration: 70% holding oven, 30% refrigeration. Can be configured with a variety of racking options to accommodate your specific needs. Series 8 trucks provide all of the same benefits and are the ideal catering vehicles for parties and events of up to 500 people. Series 11 trucks are what you need for major events or specific transportation needs, with configurations to fit almost any application. Reassure grocery customers that their orders will be totally safe when received, as food temperatures will have been maintained at proper levels. 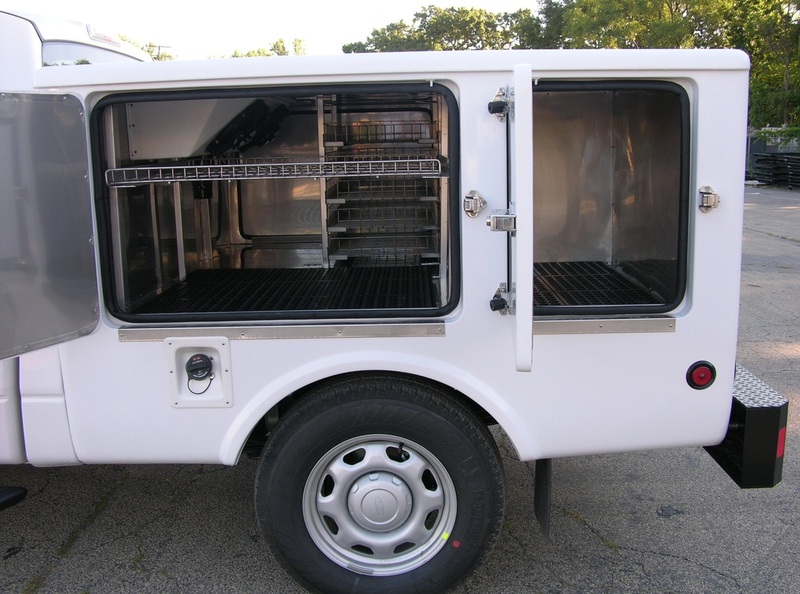 Thermogo is ideal for meals on wheels services that work for communities in need. 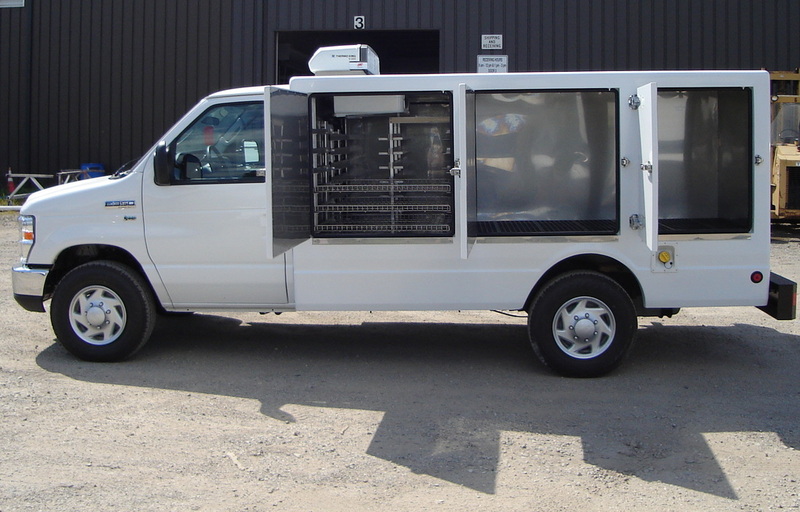 User-friendly vehicles deliver kitchen fresh quality while minimizing food handling. An ideal solution for Meals on Wheels programs serving neighbouring communities. Maintain required temperatures for meals delivered hot. Adequate storage for side dishes and desserts not requiring heating. Frozen meals stored separately to supply seniors with meals for weekend days when delivery is not scheduled. A standard Series 6 truck will carry a minimum of 212 three-section home delivered hot meals as well as a congregate meal delivery using hotel pans if needed, with additional accommodation for shelf stable products, such as juices or desserts. The Insert series provides the most economical option for smaller Meals on Wheels programs. 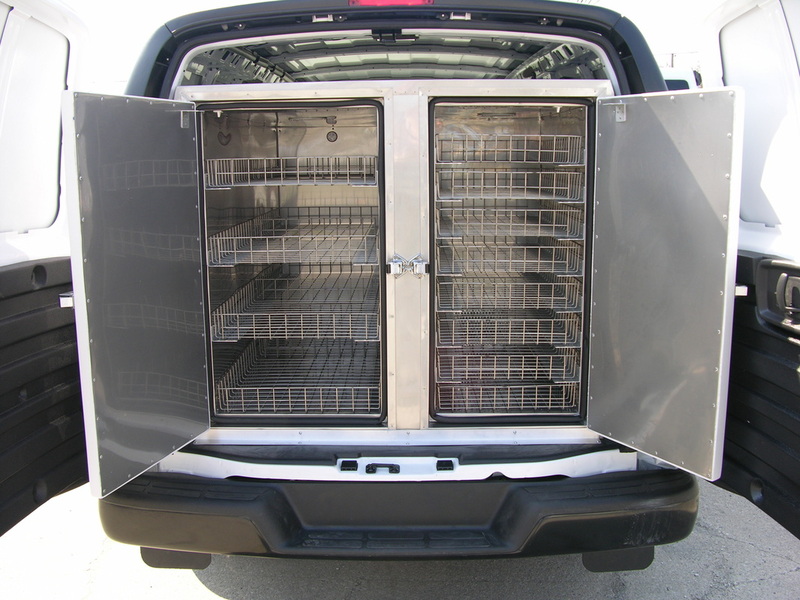 Its lightweight, insulated fibreglass units with a stainless steel convection holding oven are easily installed in vans, station wagons or hatchback vehicles. 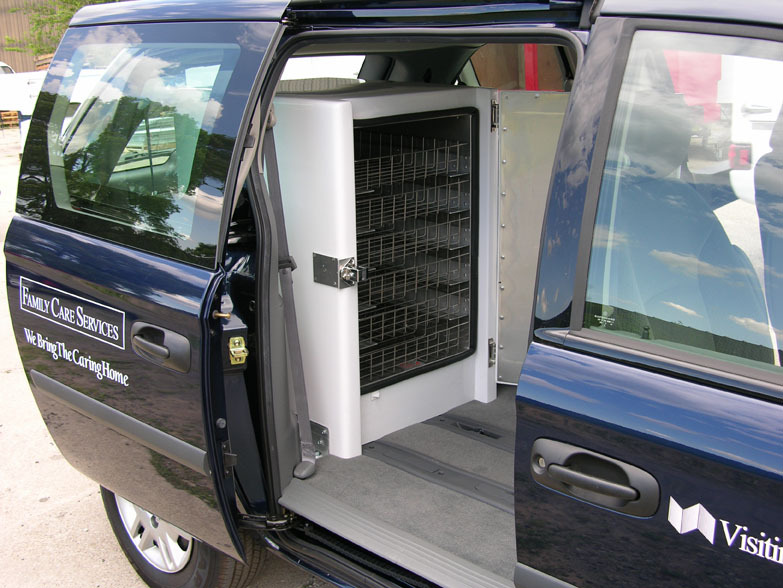 The heating is provided through the vehicle’s existing cooling system. It is guaranteed to keep meals hot right up to the final delivery of the day. Maintain the quality of your product and keep it hot and oven–fresh. 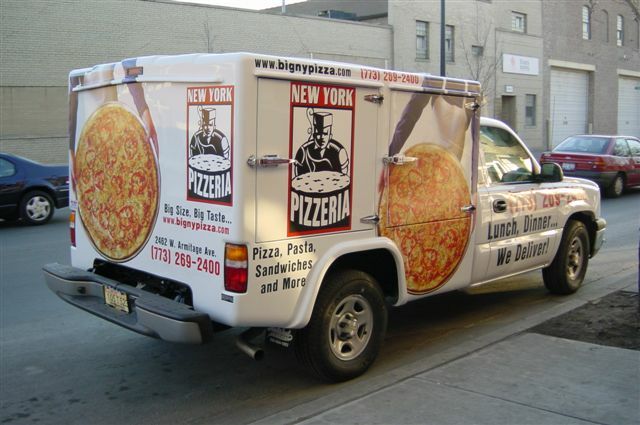 Expand your delivery area and allow for large orders. Increase sales by providing accompanying salads, sides and ice-cold drinks. Advertise to future customers while delivering maximum satisfaction to your existing customers. Thermogo is ideal for transport from central kitchens to satellite cafeterias. Transport bulk foods in steam table pans or racks for individual portions, while maintaining required temperatures. Consolidate deliveries of hot, cold and ambient temperature items to maximize efficiency and reduce staffing and vehicle operating costs. From the Insert series through to Series 11, we can build to your specifications.